There's a snake in Gov Singson's house! There’s a snake in Gov Singson’s house! It’s getting wilder in the Singson household. A yellow Burmese python visited the home of Ilocos Sur Governor Ryan Singson on Thursday, February 7. The politiko posted a video of the snake slithering at his backyard. 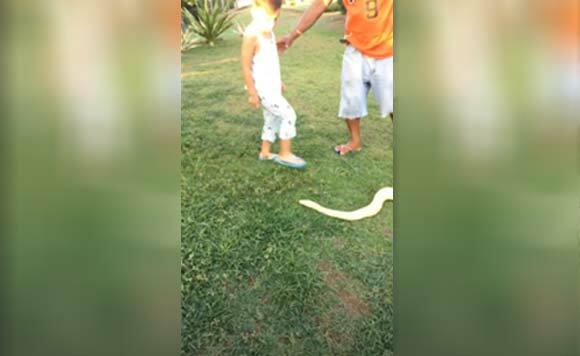 “Watch out!” Singson warned his son Rylus, who had a closer look at the snake. Bagong pet na ba ‘yan? Intense!